Handcrafted in our bakery, this elegant entrée is the perfect centerpiece for a brunch or luncheon. We start with a flaky pie shell and fill it with a rich custard made of eggs, sweet caramelized onions, heavy cream, whole milk mozzarella, feta, and chives. 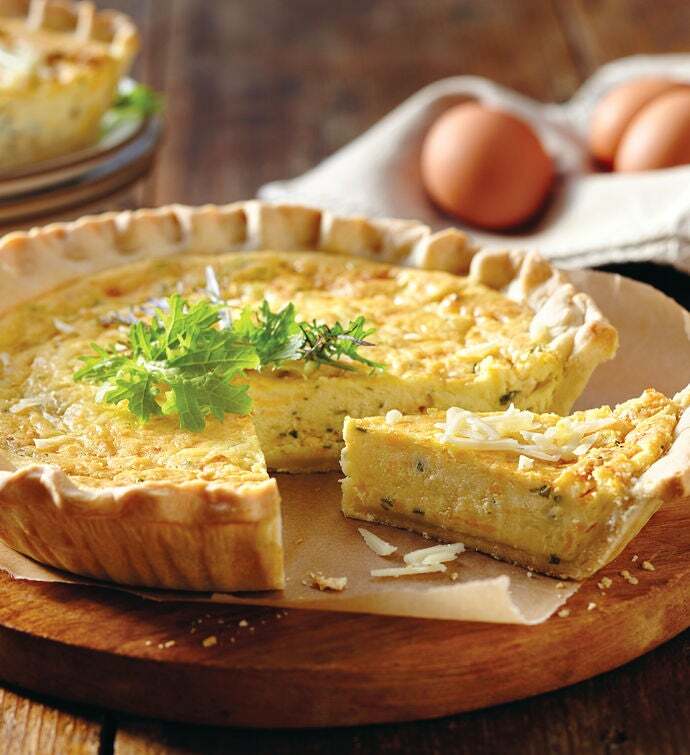 This sumptuous dish has been expertly baked so that you can enjoy the ease of a heat-and-serve gourmet quiche.